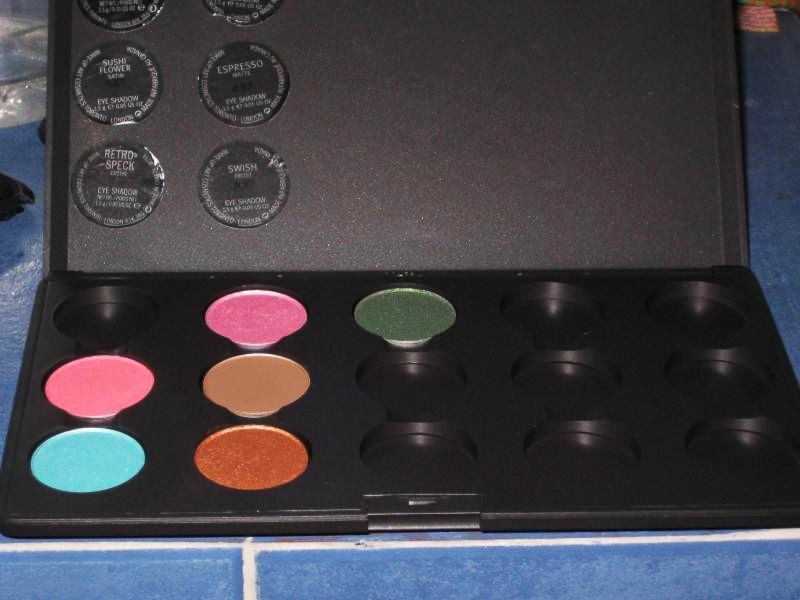 i was really scared that i might break the eyeshadows...mr. X will surely give me a not-so-nice look if i break even a single pan. 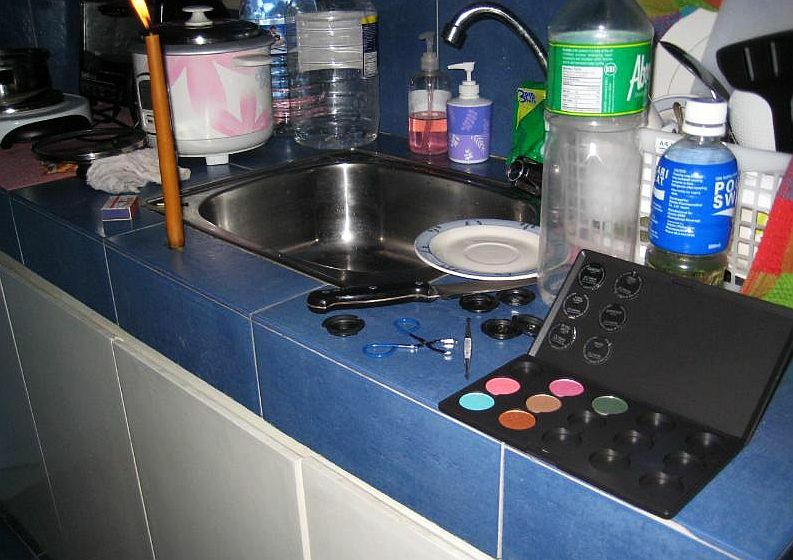 my sink was a disaster! 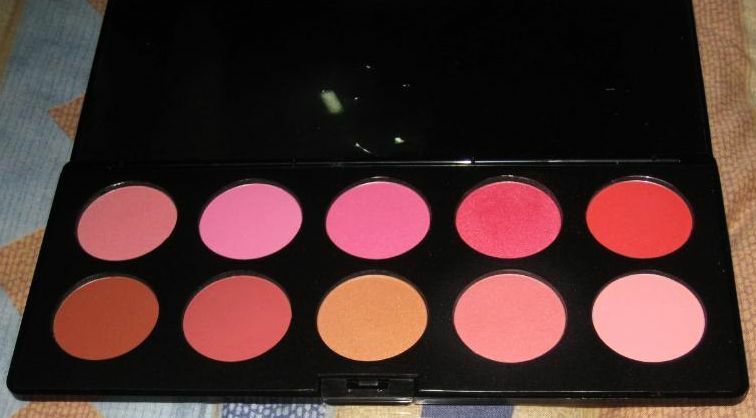 me happy...this palette costs almost Php14k! 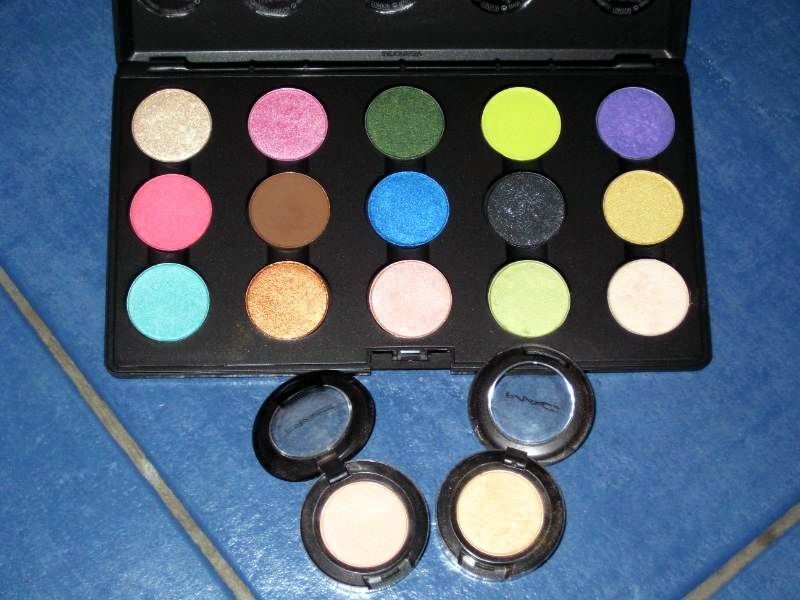 my MAC eyeshadows...poor Modest Tone and Ricepaper, they're homeless. need to get another one? 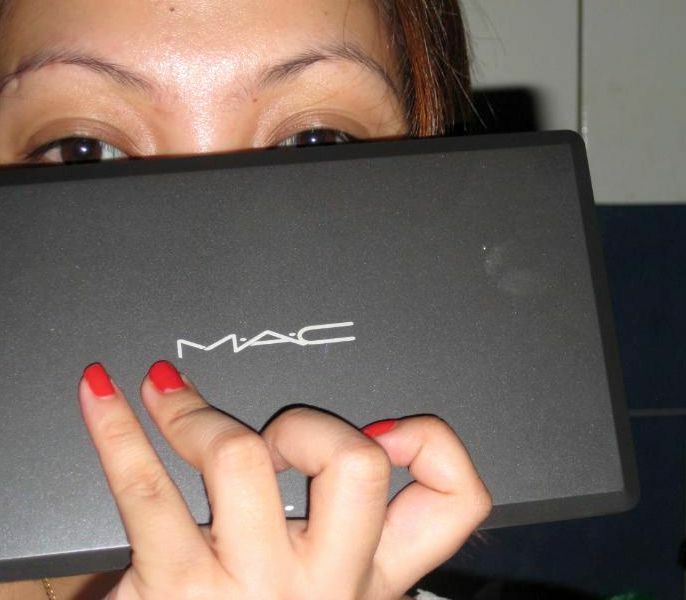 jhengky bids goodbye to you...and says hi to 2 free lipsticks courtesy of Back2MAC! i am now on a pledge...to buy one MAC e/s every payday. geesh, this is really addicting! Just depotted my MAC pots too! I wanted to try out Enkore's no heat tutorial, but I realized I didn't have that big scissors he used. I think I"m more scared of accidentally cutting my finger off with the scissors. I used flat iron, and it was a breeze! I'm no longer buying pots since it's cheaper to get pans instead. oh that is heaven right there. hahaha! 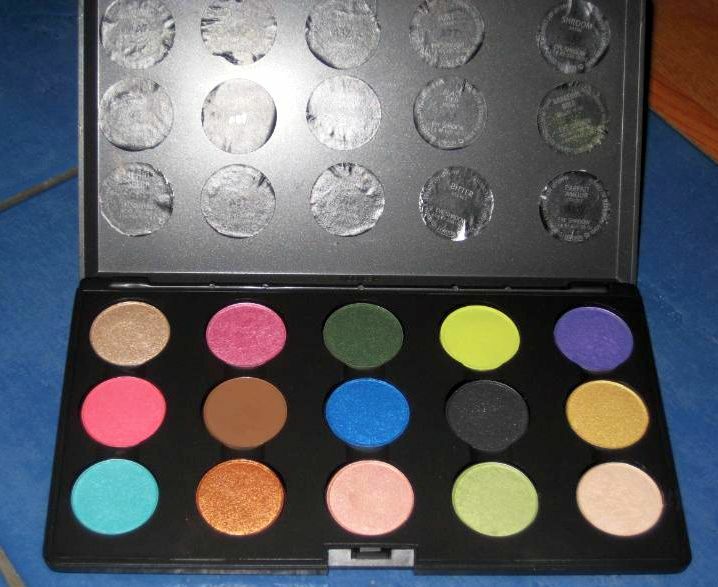 I only buy the palette sized (is that how you call it?) ones to save me depotting them. They're cheaper too! Ha ha ha! haha just wait til you used them, they're uber addicting. :P congrats! you did better than me huhu... i miss some part of my Nocturnelle.. haha. 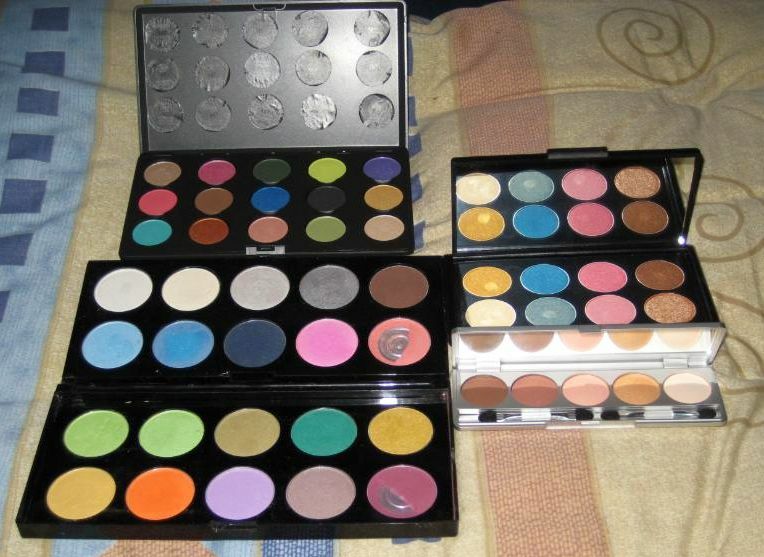 Nikki: of course you will love MAC e/s and prolly increase your purchases haha. Gracie: if i may, i think they're called refills. :) if only they were available here, i will also just get those! 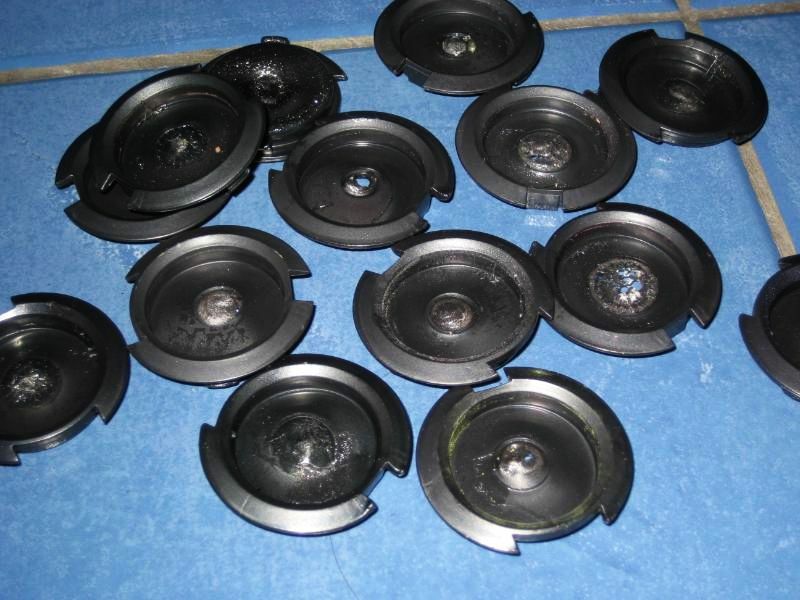 i wish we have refill pans here too jie how much is it there? sis? ME??? BI?? hahaha I'm the smartest shopper you'll ever know! 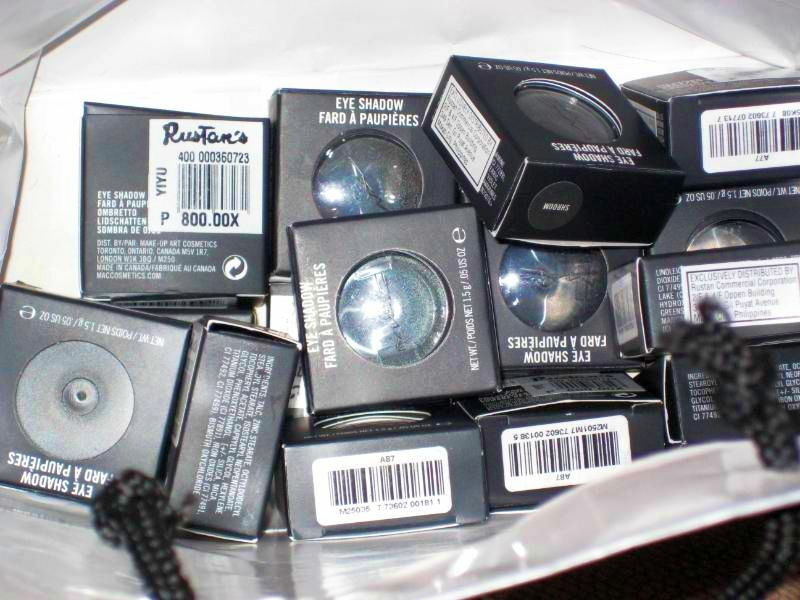 You'll be surprised I seldom buy stuffs I dont' use..and I won't BI you into Paul & Joe coz I shop wisely talaga! hahahah if you ask me best P&J product tlaga is their eyebrow pencils!!! e/s range kc is not that huge sa P&J..so I won't enable you with it :) heheheh can't wait to meet you dear! how much is a MAC e/s there?..in pesos?